I’m Emma Kate Farley. I design nature jewellery inspired by nature and British Wildlife. My jewellery supports my work helping to save our declining wild hedgehogs. Since 2012, I have been a hedgehog rehabilitator. I nurse sick and injured wild hedgehogs and release them back to the wild. Hedgehog numbers are in dramatic decline in the UK due to a whole range of factors including habitat loss, habitat fragmentation and dangers like roads and ponds. I have returned well over 450 hedgehogs back to the wild so far. The hedgehogs come in with all sorts of problems – orphaned, injured, sick, underweight, strimmed, wounded, stuck in netting, full of internal parasites…. and each one is treated individually, being referred to a vet if necessary. Once they are fully better, I find them a suitable location back in the wild. Often this is where they came from but, if the site is unsuitable, then they are relocated. You can read more about a day in the life of my hedgehog rescue here. Like all wildlife rescues, my work is entirely self-funded and I receive no funding from the Government or larger wildlife charities. To help raise funds to buy food, medicines and equipment for the hospital, I make silver jewellery inspired by nature and wildlife. Everything is hand made, hand sanded and hand polished by me. Please read my blog to find out more about the costs of running a hedgehog rescue and how donations are spent. 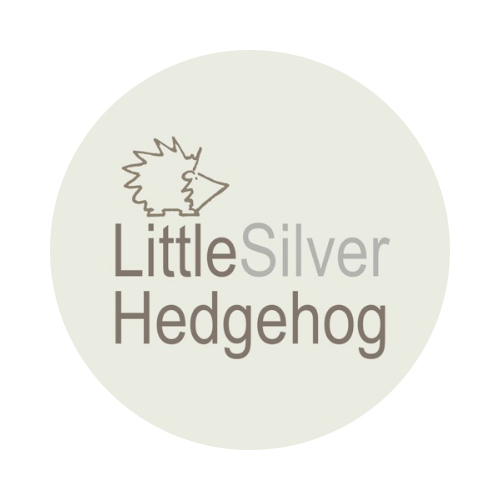 On my website you will find information about helping hedgehogs and other wildlife, stories about hedgehog rescue and posts about creating my silver jewellery. I also love cats and other wildlife so I blog about those too! You can visit my nature jewellery shop here. You can find out all the ways to support my work here.